I remember the artist said that he added the "Minium" icon set by Rad.E8 to Max Rudberg's "SmoothStripes" kaleidoscope scheme... but wouldn't release it to anyone (else) because it contained works that didn't belong to him. He e-mailed me once, saying that it was merely a compilation/combination of the two. 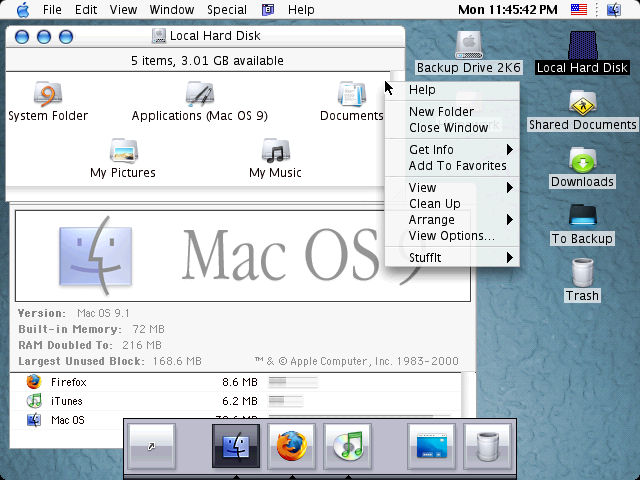 All he did was just convert the Minium icons from OS X and ported them to OS 8.5-9.x. (i do have this k-scheme, but I leave it up to him to decide if he wants any other people to have it)............ his name is spelled with funny characters, which i can't even remember, but it looked like ConFusion or something. Very pretty! You should contact the author if you still have his details. The link to the Aqua theme doesn't work for me. By default, Firefox tries to display .hqx files instead of downloading them. I use Firefox. That's what it was probably trying to do. I thought the Kaleidoscope website removed the Aqua themes due to copyright problems. Here's another site of Aqua themes. That's some cool stuff... Still, does anybody know if Kaleidoscope can cause any real compatability problems in System 7.5.3? I'd like to know before I go and try it. I think it is okay. Although some of the schemes I've tried will crash the emulated system (but not, it seems, a real system). Since you seem to be interested in this stuff, make sure to check out some of the stuff on Wincustomize. 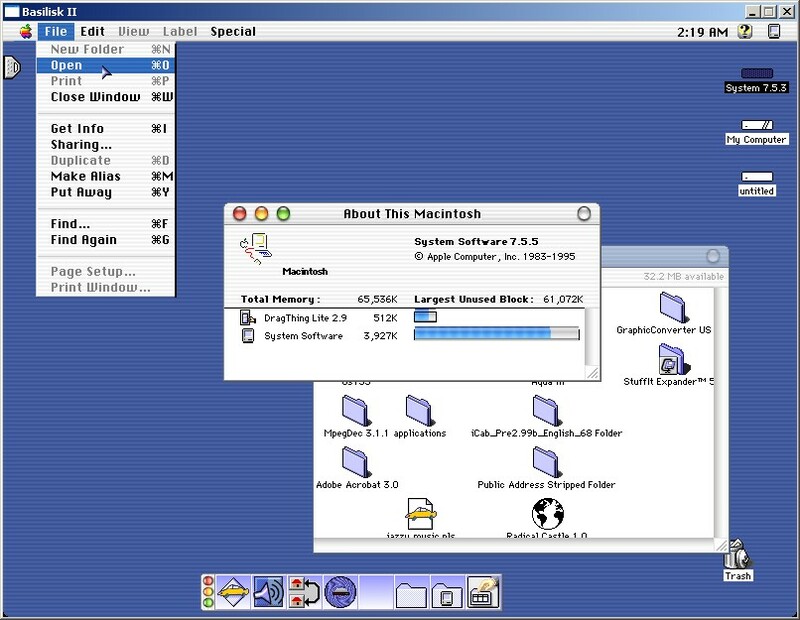 They have some old themes that run on old software for old operating systems.